Cat slave recognition group (meat ball + shovel shovel) - Top 100 sent to Japan made this day 蓼 line incense x2! Cat slave recognition group content: Meat ball palm tag x 1 Cat shovel sling x1 Japanese made this day 蓼 蓼 line x2 root (supplied) __design concept/__ What a couple has long since passed away! We are now popular with the master servant! We designed the concept of "holding the hand, shovel to the old" "Hand palm tag" that declares sovereignty And "Cat shovel sling" that declares slavery __feature of product/__ ● The back can be marked with lettering ● Attach the ball chain / increase the buckle for easy loading and unloading ● Use special ivory card, the back can be written as a card, and the gift is very convenient. ● Solid wood beech (unusually low-cost synthetic wood on the market) is waterproof, lightweight and durable. __specification/__ Cat shovel: Size: approx. 6.5 x 3 x 0.4 cm (without chain) Chain length: approx. 10.5 cm Weight: 5g Meat ball palm. : Size: approx. 4.5 x 3.3 x 0.4 cm (without buckle) Length with buckle: approx. 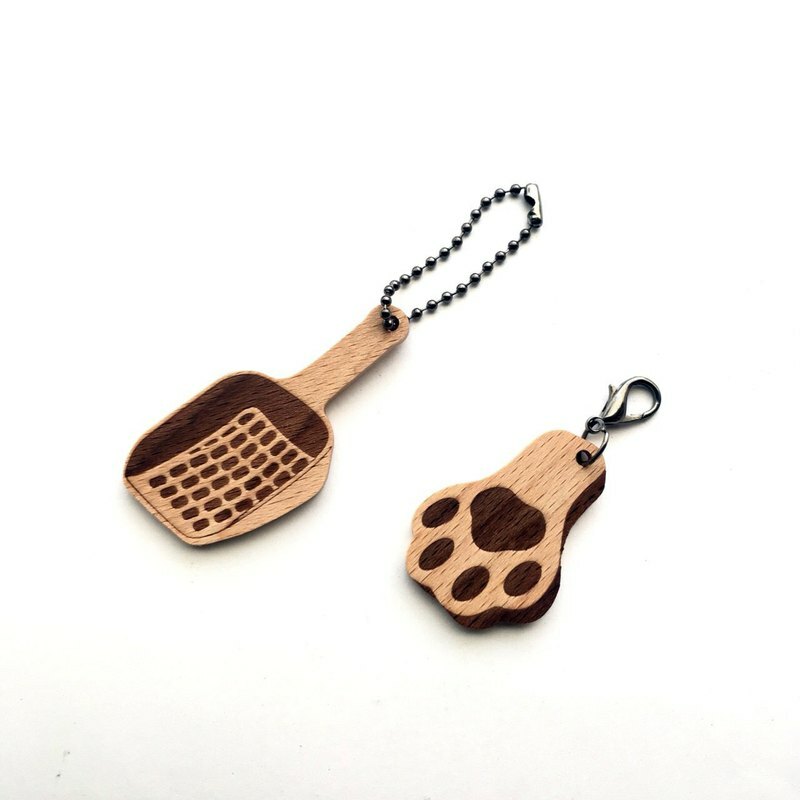 6.5 cm Weight: 5g __Other stores /__ (single buy) meat ball palm tag: https://www.pinkoi.com/product/w2RQdERM (single buy) cat shovel sling: https://www.pinkoi.com/product/VUMejsyS note: 1. The products are all natural colors of the logs, and there will be some color differences and different wood grain patterns. 2. If the surface is dirty, wipe it with a damp cotton cloth and keep it dry.